This is part one in a four-part series on CNESA's trip to San Diego for the Energy Storage North America conference and expo. See parts two, three, and four. We're happy to be here in San Diego. We're at the center of an energy revolution, and top industry leaders, academics and policymakers are here to show us what they've learned so far. 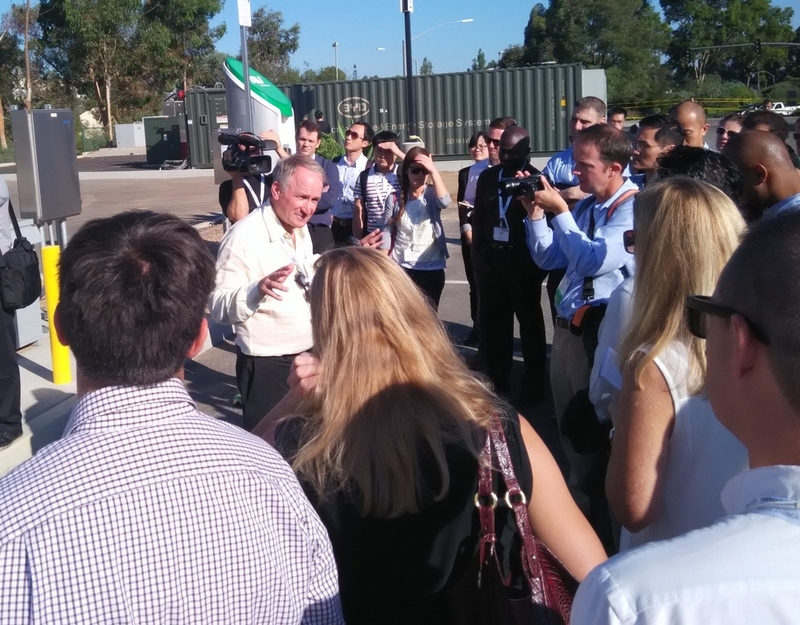 Energy Storage North America 2015 began with site visits to San Diego’s most innovative energy storage projects. Byron Washom, director of strategic energy initiatives at UC San Diego, showed us how his university is leading the way in microgrids and energy storage. Byron Washom at the UCSD Microgrid. UC San Diego is operating a campus microgrid containing a diverse array of technologies, including solar PV-powered EV charging stations, fuel cell storage, thermal storage for cooling, diesel backup generators, and a number of interesting experimental projects that reflect the university’s commitment to exploring the next wave of energy storage technologies. The first thing that strikes you about UC San Diego is its size. Washom commented that serving the electrical needs of the campus is akin to serving a city of 90,000 people. This has provided both challenges and opportunities for the school. Washom has pioneered what he terms a “Motel 6” model for testing new energy storage systems. By laying the groundwork for a container-sized system in various locations on campus, he can carry out testing on whatever systems come his way. We saw a 30kW, 5-minute ultracapacitor installation by Maxwell, being used to smooth out fluctuations due to clouds in a solar PV array built on top of a university theatre. This system will be tested in conjunction with the university's solar forecasting system -- among the most advanced in the world. BYD has also partnered with UC San Diego to provide a 2.5 MW / 5 MWh energy storage system located on campus. This is a big investment for a campus as large as a small city. The school's microgrid not only serves the university, but has also helped the community of San Diego through a demand response partnership with the city’s utility, San Diego Gas & Electric. 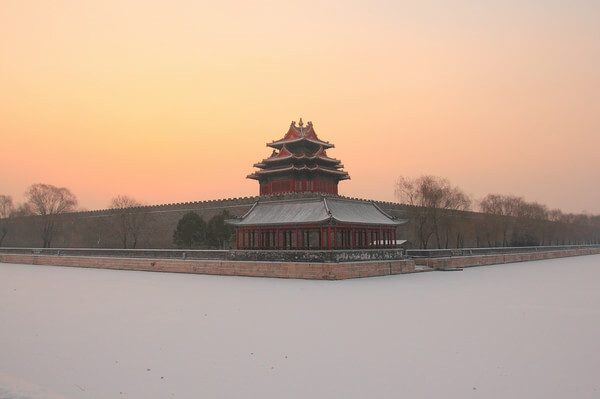 In a recent load event, the university activated its automation systems to adjust thermostats and other non-critical loads to transform the microgrid from an electricity importer into a 3 MW exporter. This 3 MW, Washom said, happened to be just enough to keep the grid up, clearly demonstrating how the right combination of technologies and practices are revolutionizing how utilities and consumers interact. In the evening, conference attendees met to listen to opening remarks from Janice Lin, conference organizer and founder of Strategen Consulting. She introduced James Avery, chief development officer of San Diego Gas & Electric, who argued that energy storage is the next big opportunity for cleantech players. Taking a question from the audience about whether utilities had a role to play in the new world of distributed energy, Avery responded by pointing out that for California to reach its carbon emissions targets, the state will need to decarbonize – and thereby electrify – the entire transportation sector. With millions of electric vehicles needing to charge up, there will be a huge demand for electricity – both on a distributed and utility scale. John Zaruhancik, the president of AES Energy Storage, spoke next. He announced a 20 MW storage project to be built in Dallas, in partnership with Oncor, a Texas utility. He also talked about the broader meaning and importance of energy as a matter of human livelihood. AES Corporation, which operates the world’s largest fleet of grid-connected batteries, is active in countries which face energy insecurity and instability, such as the Philippines and the Dominican Republic. In his perspective, energy storage is another tool to make people’s lives better, by providing light to read, refrigeration for medicine, and the foundation for a modern economy. Our trip blog continues in part two for the first full day of presentations and coverage from the expo floor.